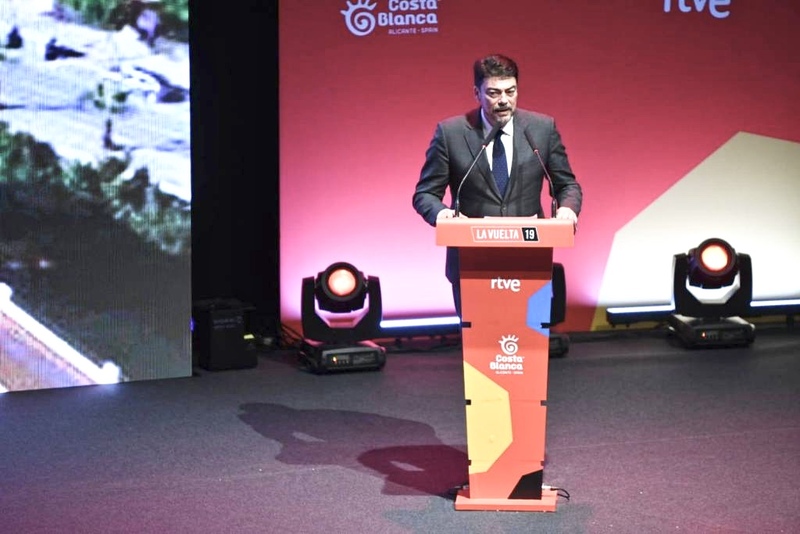 Organizers for Vuelta a España presented next year’s route in Alicante, Spain last evening, which will begin in the town of Las Salinas de Torrevieja on August 24 and finish in Madrid on September 15, with 3,272-kilometers of racing in between. Riders will face no fewer than 59 climbs,13 more than in this year’s edition of the Spanish Grand Tour. The opening stage will feature an 18 kilometer team time-trial, followed by a mountainous second stage from Benidorm to Calpe. Things before vertical again for stage five, wherein riders will tackle the challenging climb of the 11.8 kilometer ascent of the Pico del Buitre. An individual time-trial will commence through France on stage ten, while stage sixteen will also favor the sprinters, comprising a flat 155 kilometer stretch between Pravia and Alto de la Cubilla. The race culminates with a 105.6 kilometer stage between Fuenlabrada and Madrid. Organizers also confirmed the Vuelta will begin in Utrecht in 2020, a first return to Holland since 2009, where its route began in Assen. Utrecht will become the first city to have hosted all three major races, having formed part of the Tour de France in 2015 and the Giro d’Italia in 2010. It will be only the fourth time the event has started outside Spain, following Lisbon in 1997, Assen in 2009 and Nimes last year. The official route for La Vuelta 19 was announced at the ADDA auditorium in Alicante. The 74th edition of the Spanish race will take place between August 24th and September 15th 2019, setting out from Salinas de Torrevieja and ending in Madrid. With a distance of 3,272.2 km, the competition includes eight uphill finishes, five of which are new. 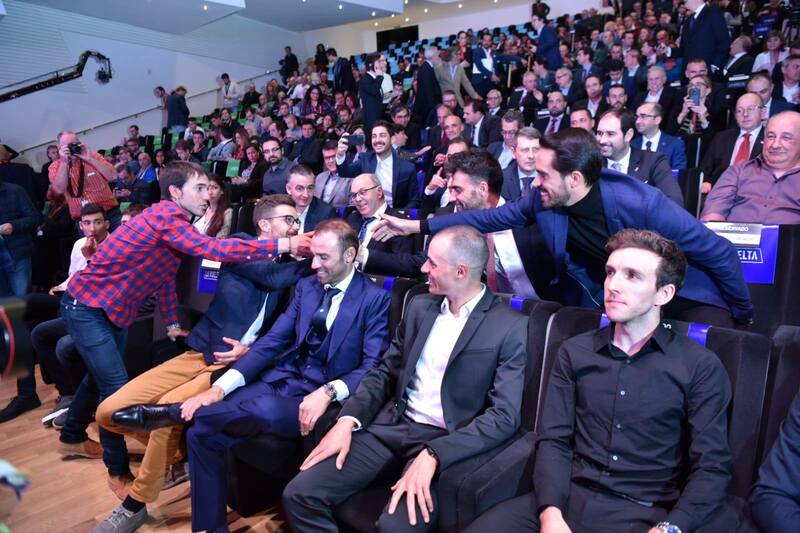 The presentation was attended by representatives from the international peloton, including last year’s podium: Simon Yates, Enric Mas and Miguel Ángel López; but also national cycling stars such as Alejandro Valverde, the new world champion. On Wednesday December 19th Unipublic announced the route for La Vuelta 19, which will be held between August 24th and September 15th 2019. The Spanish race will start at Salinas de Torrevieja with a team time trial, the first of three stages to take place on the Costa Blanca. Once on its way, the peloton will depart the province of Alicante and head to Valencia, Teruel, Castellón, Tarragona and Barcelona. The general classification will start to take shape during these initial stages, which include several sprints and new uphill finishes that will begin to set the top riders apart. La Vuelta 19 will experience an initial turning before the first rest day, during one of its queen stages. The spectacular mountain stage in the Principality of Andorra includes a chain of some of the harshest mountain passes in Andorra and a new ascent to Coll d’Engolasters with a 4 km sterrato track link section. The race then crosses the border to France, returning to the Peninsula via Navarre, the Basque Country, Cantabria and Asturias, where it will visit some familiar peaks and also some new ones for this year, such as Santuario del Acebo or Alto de La Cubilla, to the delight of mountain climbers. During its final week, the race moves to the Central System, alternating between Castile–La Mancha, Castile and León and the Community of Madrid. With a ‘leg-breaking’ final in the Gredos and Guadarrama mountains, traversing La Vuelta’s mythical mountain passes such as La Morcuera, which brought us a heart-stopping finish during La Vuelta 15 when Fabio Aru took the red jersey from Tom Dumoulin during stage 20. “It’s going to be a hard but very interesting Vuelta, with surprises, intrigue and emotion guaranteed. Short but intense stages, including innovation and new and unprecedented ascents. 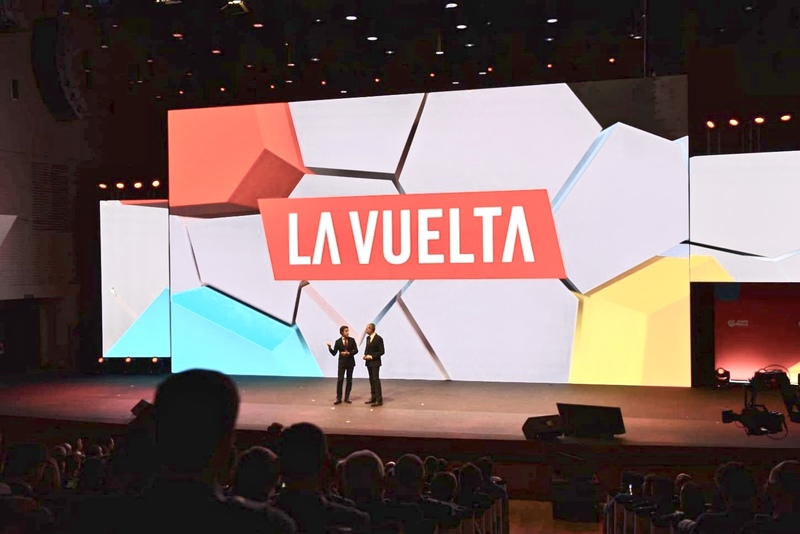 The Vuelta brand is what it is, and we will never give it up, to the contrary, we seek to strengthen it”, stated Javier Guillén, La Vuelta’s General Manager. The leader’s red jersey celebrates its 10th anniversary this year. In 2010 Vincenzo Nibali became the first winner of the Spanish grand tour to wear the red jersey, which replaced the gold jersey last worn by Alejandro Valverde. “Red is associated with success, passion, and Spain and is now firmly associated with the unparalleled spectacle that is our race”, explained Javier Guillén. The list of riders to have worn the red jersey atop the final podium of La Vuelta includes names such as Fabio Aru, Vicenzo Nibali, Nairo Quintana, Alberto Contador, Chris Froome or Simon Yates, the last to join this select club.